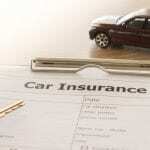 There are many things that factor into auto insurance rates. It isn’t uncommon for a couple of friends to get together and the topic of auto insurance rates comes up, which is quickly followed by a dumbfounded feeling when one seems to be getting a much better deal. If you are the one paying more than you think you should be, your first instinct may be to switch to a different insurance company. The problem with that move is that you could easily end up paying even more because it isn’t always the insurance company that is to blame for your rates being higher. Here at Curtis Helms Insurance in Charlotte, North Carolina, we have the experience to sift through various providers to get the best policy for your needs at the most affordable auto insurance rates for your situation. If you had delved a bit deeper into the conversation with your friend, you may have learned that they have a far lower coverage limit than what you prefer to carry or a much higher deductible which you would not be comfortable with. In addition, what type of vehicle you each drive factors into the rate. In some states, age or gender can affect the rate, but that is not a legal rating factor in North Carolina. However, your driving record can be considered, so if you have more points or claims than your friend, that could make your auto insurance rates higher. Sometimes, you can get lower auto insurance rates by having us check around for you. Other times, you may be getting the best rate possible with the company you have but some changes in the coverage could save you some money. We are happy to review your current policy and provide you with the benefit of our experience so that you end up with the coverage you want and need at the best possible rate. Contact us today to discuss your auto insurance needs.